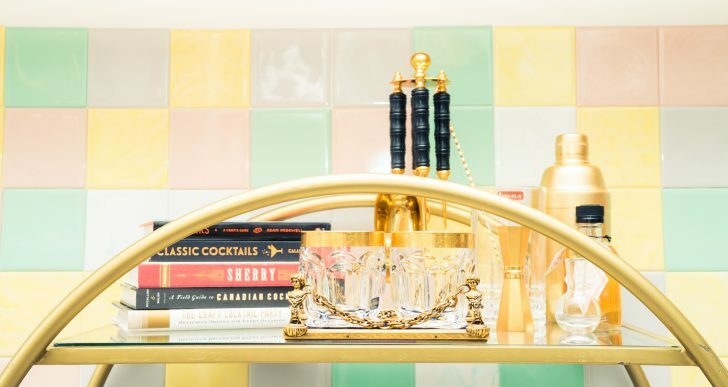 One of the most common decorating gripes I hear from almost everyone I get on the subject with (aside from, say, a sheer lack of square footage) is the difficulty of mastering the art of the bar cart. First, you have to find one. 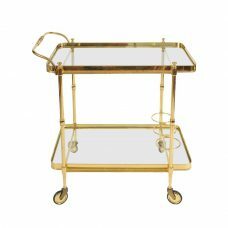 And have you actually tried finding a bar cart? Because nabbing one that won’t break the bank (or lead to a spending shame spiral) is all but impossible. 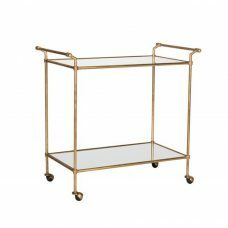 Once/if you get past that first hurdle, it’s on to the mammoth task of stocking said cart with all the tools that look vaguely familiar from hazy evenings at mixology (ugh) bars. And then you need to make it look cute on top of that. Um, help? 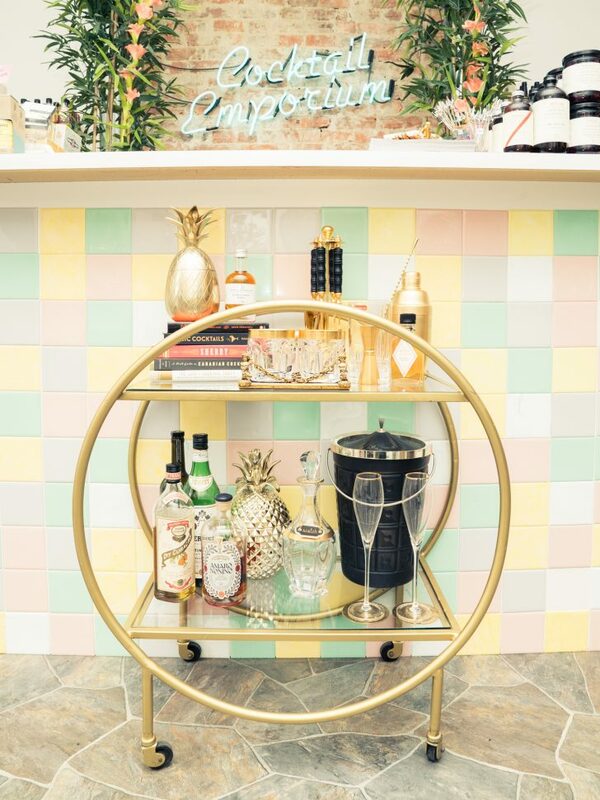 Luckily for you (and, fine, us), we enlisted the help of BYOB Cocktail Emporium in Toronto (if you’re in Kensington Market, you can’t miss it—it’s the massive pastel-pink house with gold pineapples out front), and its founder, Kristen Voisey, to guide the way. 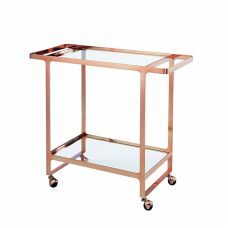 Back to the bar cart. 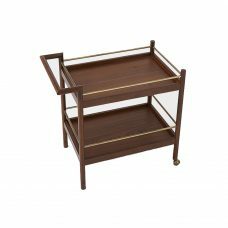 We’re going to take a wild guess that you want something vaguely mid-century modern, ideally in gold, brass, rose gold, chrome… need we go on? The pretty gold one at BYOB is ideal. 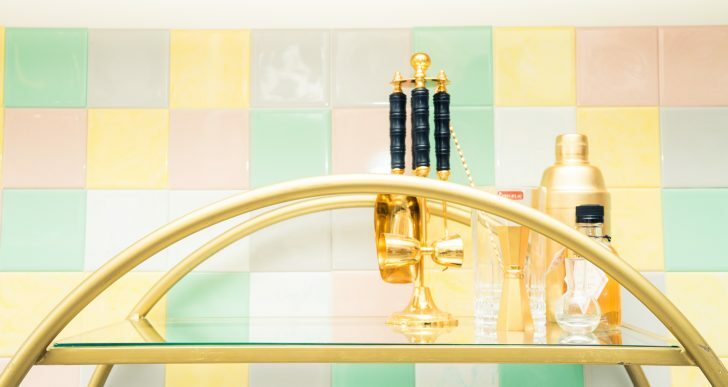 Of course, nothing worth having comes easily—we suggest stalking CB2 and West Elm, as well as 1st Dibs, One King’s Lane, and IRL antique stores to score. Shaker: To shake cocktails with ice, booze, juice, cream, and whatever else you feel like drinking. Mixing Glass: To stir cocktails with ice. Stirred cocktails are technically cocktails that only include spirits, such as a Manhattan or a Martini. Bar Spoon: To stir cocktails in the mixing glass. Strainer: Used with a mixing glass to strain liquid into glass while keeping ice out of the glass. Muddler: To press oils and flavors from mint, berries, et cetera. Juicer: Fresh citrus juice is a must for proper cocktails. 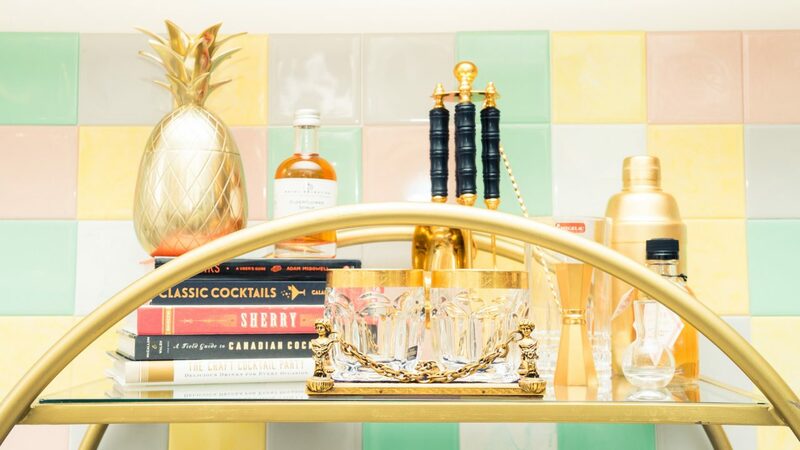 For a proper home bar, you’ll need to be prepared for anything—including tiki cocktails. 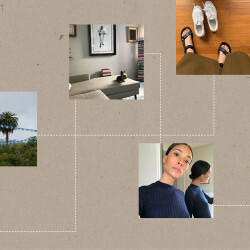 Here’s everything you’ll need. Cocktail Coupe: Classic cocktail glass for cocktails that are NOT on ice. Double Old Fashioned Glass: Classic cocktail glass for cocktails on ice. High Ball or Collins glass: Cocktails with ice. Tiki Glass: For tropical rum cocktails. 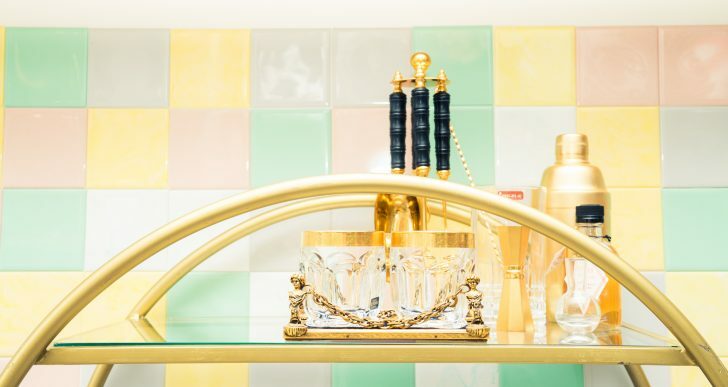 Now that you’re stocked, it’s time to read up on what the eff to do with all your new goodies. The Bar Book: Based on essential techniques on how to make a perfect cocktail. The Craft Cocktail Party: Great recipes. Classic Cocktails: Classic cocktail history and instructions. Stock up on all the booze, bitters and syrups you could ever possibly need. Tonic Syrup: All-natural small-batch tonic concentrate.